When speaking about wallcoverings, there is a massive amount of designs, styles and price range where you can choose to round up modern interior design. We always recommend selecting the best quality you can afford without breaking the bank. You will find the new technologies in the market, as new adhesives formulas, make the wallpaper installation and removal less a hassle that it was in the past. If you are dexterous enough, dare to install it yourself, if not, trust a good wallpaper installer. These professionals are fast, clean and can save you a headache. We have been using wall-coverings for a long time to helps us create modern interiors. When the word wallpaper meant classic English style decoration on most of the people minds and mixing it with the contemporary design was rare. Wallpapers are a great resource to create an accent wall, add a dramatic effect, a subtle texture or complement the rest of the decoration in the room. You can switch a very minimalistic space into a personal one adding a wallpaper. Nowadays there are many options in the market, and this is great, you can find it in expensive stores, in very cheap ones, online, in your local paint store, featuring repetitive patterns, big murals, pictures, drawings... choosing the right one is always risky, but we are here to help. 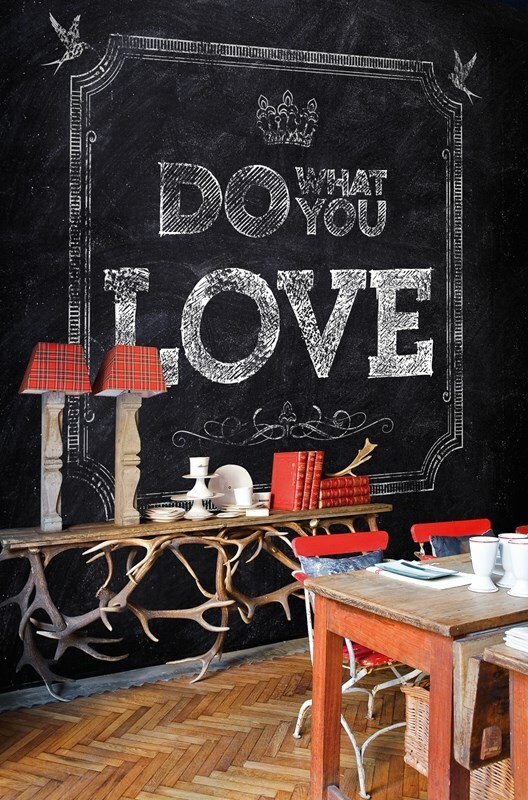 This a selection of wall-coverings we use, brands we like and patterns and styles that help us make our designs special. Do you kill all the plants in your home too often? 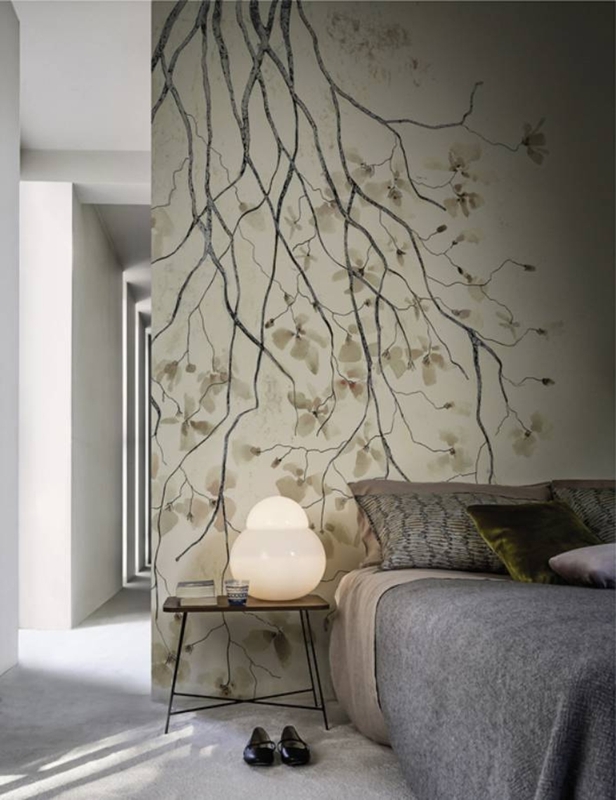 don’t worry flowers, leaves, trees, and plants will cover your walls with these artistic patterns, and the good thing, they don’t need watering when you go on vacations. All these designs are from Wall & Deco and are printed to the size of your wall. Not all the wall-coverings are made with paper. 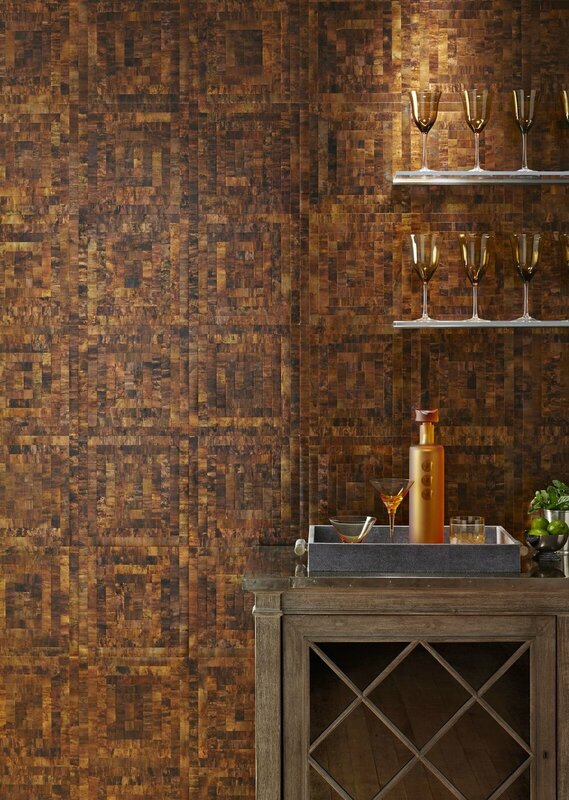 Some brands, like Elitis and Maya Romanoff, create amazing wall treatments made with wood veneer, weathered metals, mother-of-pearl, and other natural materials. Don’t need to worry about the wall decoration or buying expensive paints to decorate your walls. Some patterns will work as big paintings and artistic murals that will complete any decoration. 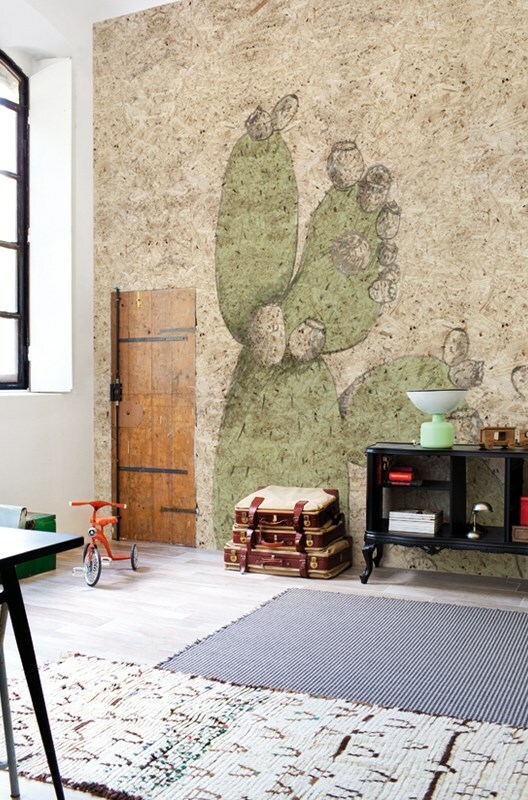 Minted wallpaper and Elitis offer great options. Remember when a wallpaper was just a design that repeated itself every 20”? Well, they of course still existing, but the new techniques and materials made them rich and not boring. When you need to highlight a piece of furniture or the architecture in your walls, these wallpapers offer great solutions. Check Innovations USA and Elitis France for these designs. 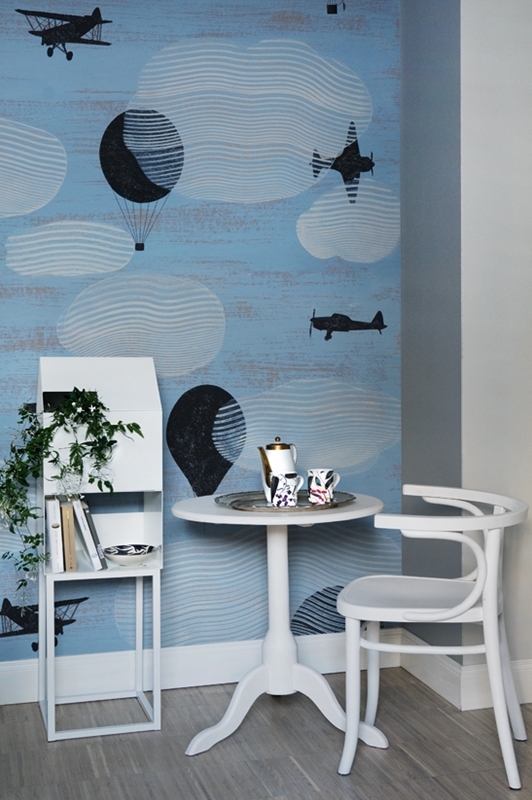 If you want to highlight a wall and create a dramatic effect, the wallpapers that make focus in a unique big object and leave the rest of the print as a neutral complement are the ones you are looking for. These designs can be centered or cover only one side. Not only are they perfect for residential spaces but also work great with commercial and hospitality settings as well. 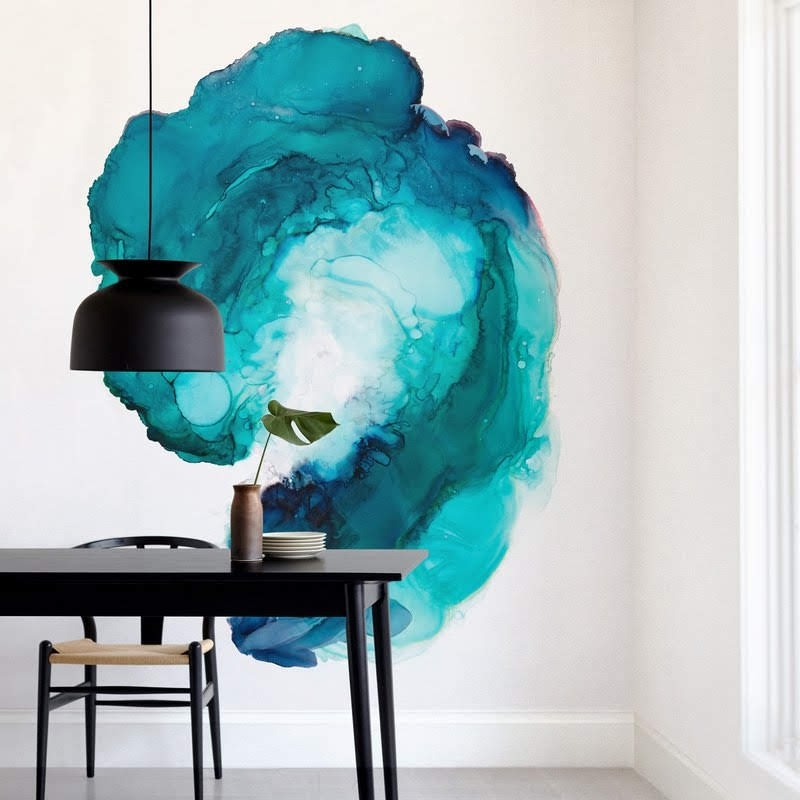 For example, some locations that can create a big impact with wall murals are the office reception spaces, hotel lobbies, conference rooms and more. It can be seen as eye-catching for way-finding throughout a space, impactful, durable and bold. Elitis France and Wall & Deco offer these designs. When the wallpaper is not just a flat object glued to your walls, if not a textured object that makes the space feel rich and helps with acoustic. These are from Elitis France, a precursor of 3D wall-coverings, with collections dating back to 2011. These wall-coverings create an amazing optical illusion in adding depth through 3-dimensional patterns. 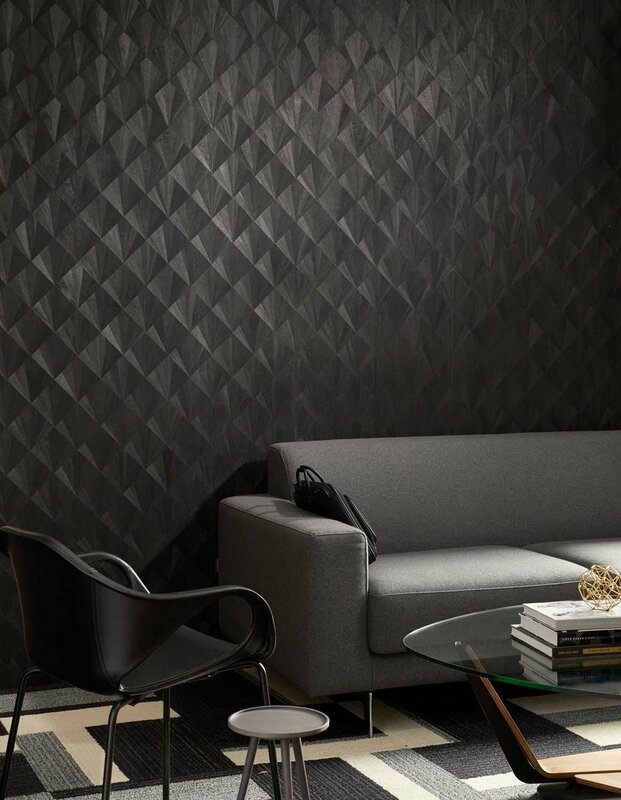 We love the idea of mixing different geometric patterns in our walls. Polygonal shapes offer an amazing contrast with your furniture and other organic elements and can be as neutral or bold as you like. Big and small shapes, dots, lines, everything on our planet is a geometric shape, the ones in your walls can be amazing. These are from Wall & Deco. Yes, you can cover the walls of your house with wallpaper. We wouldn’t recommend covering a complete building with it, but we must recognize that they offer a highly decorative solution. Wall & Deco is one of the brands in the market offering these collections. This wallpaper is resistant against rain, yellowing, and with antismog properties. It can be applied on wall surfaces in cement, thermal coat or with paint. 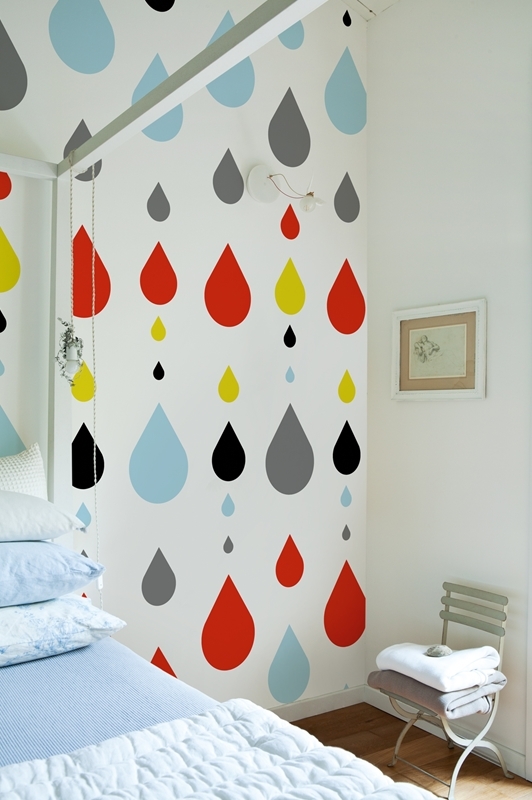 This is a very special wallpaper for damp environments such as bathrooms, kitchens, fitness and wellness centers. It combines, in only one system, the waterproof properties of liquid membranes with the highly decorative features of a wall covering. This is a very special alternative to any decorative backsplash and tile for your bathroom or kitchen. The collection is the Wet System from Wall & Deco. Well, technically they are not only for kids, but these patterns will add the final touch to your kids room, no matter if they are babies, toddlers, schoolers, teens or young adults. There is always a good wallpaper design for their rooms. All these designs are from Wall & Deco.